The authors submitting and publishing in JBSEE agree to the copyright policy under creative common license 4.0 (Attribution-Non Commercial-Share Alike 4.0 International). Under this license, the authors published in JBSEE let others remix, tweak, and build upon their work non-commercially. Yet all the other authors using the content of JBSEE are required to cite author(s) and journal and publisher in their work. All manuscripts should be in English language (US English). Research papers should be thoroughly checked by the author(s) to avoid grammatical, typographical and syntax errors. 5,000 words including tables and references. It should include concise, specific, relevant and informative title (avoid abbreviations in the title). Please indicate the full name of author(s) clearly. Present the authors affiliation below the names. Provide the full address of each affiliation, including the country name, correct e-mail address, and telephone number of each author. Please clearly indicate who (corresponding author) is willing to handle correspondence at all stages of peer review and publication. A concise and factual abstract is required (maximum length 200 words). The abstract should state briefly the purpose of the research, data set, methodology, results, major conclusions and usefulness of the study. Immediately after the abstract, provide 6-8 keywords specific to the research paper. This section may cover overall background and description of the study, narrow down to research objectives, motivation of the topic, importance/significance, proposed tasks and novelty. Abbreviations should be described in parentheses when first time they appear in the text. This sections may critically describe/evaluate literature relevant to research problem, establish context, compare and contrast the most recent developments in literature and trends. Search gaps after concentrating on thought leaders’ work and linking the research with relevant theories. This section may describe population structure, sample, instrumentation, data collection, hypotheses, equations, statistical tool and its justification. This section may cover in depth interpretation through applying higher order thinking skill of analysis and develop novel arguments based on significance of statistical relations. Establish interconnections among and within variables. Testing hypotheses and comparing with literature. It may be broken into meaningful sections, i.e. hypotheses supported/rejected, alternative explanations, conclusion, theoretical/methodological contribution, practical implications, recommendations, future study directions and limitations. Divide your article into clearly defined and numbered sections. Subsections should be numbered 1., 2., (then 1.1, 1.1.1, 1.1.2), 1.2, etc. Use this numbering also for internal cross-referencing: do not just refer to the text. Authors are urged to write as concisely as possible, but not at the cost of clarity. Present them in order (suitable heading and specific number; Arabic numerals) wherever appropriate in the text. High-resolution (black and white only) graphs must be provided in the main text of the paper. Present tables with suitable heading and specific number (Arabic numerals) at the appropriate place of the article. Use the Table option of Microsoft Word to create tables. Ensure that the data presented in tables do not duplicate results described elsewhere in the article. Refer to table number wherever appropriate in the text of the paper. Citations in the text should follow the referencing style used by the American Psychological Association (APA). 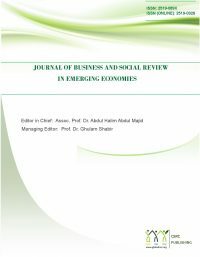 Background information, list of respondents, list of companies or questionnaire may be described in this section if required by the editor/reviewer. 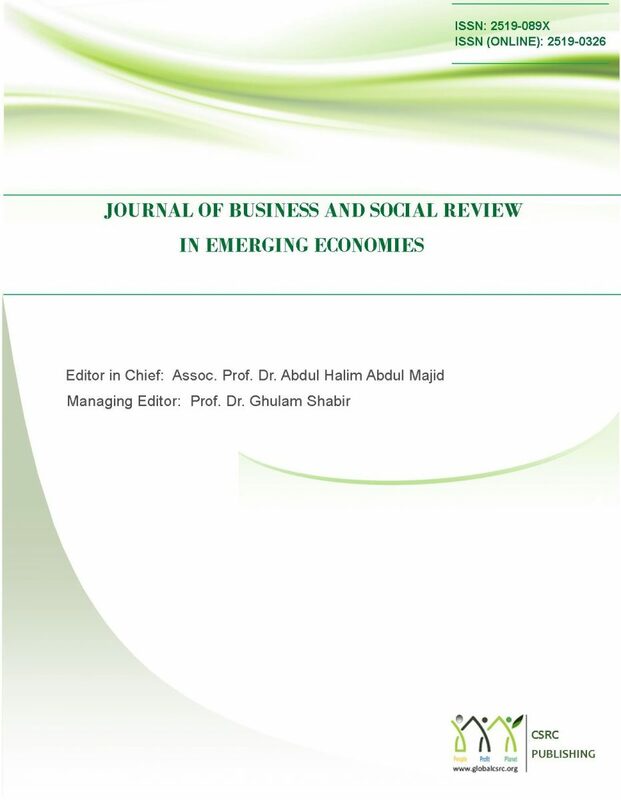 In accordance with the guidelines of Higher Education Commission (HEC), Journal of Accounting and Finance in Emerging Economies (JAFEE) observes Zero Tolerance to plagiarism. We uses Turnitin for all research papers submitted to detect possible plagiarism. If similarity is more than 20%, the paper is returned to the author(s) immediately. If plagiarism or other unethical practices are detected after publishing the paper, editorial board has the authority to correct or retract the paper as HECs plagiarism policy.